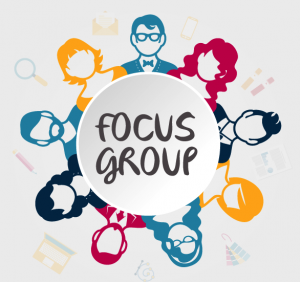 HYA Executive consultants are in Park City this week conducting more than 40 focus groups seeking input on what the community is looking for in its next superintendent of Park City School District. The consultants retained by the Board are Robles, the former superintendent of Los Angeles County Office of Education, and currently an associate dean Rossier School of Education at the University of Southern California. She is also the former Superintendent of Schools for the Salt Lake School District. Carmella Franco spent 36 years in public education and retired as Superintendent of Schools of Whittier School District in California. She currently serves as Director of the Association of California School Administrators Superintendents’ Academy in Whittier. A Community Forum is being held tonight, Feb. 5, for anyone who wants to offer opinions on what characteristics and strengths the board should consider for the next Superintendent. Tuesday, Feb. 6, a Community Forum will be conducted in Spanish. Both meetings are from 6:30 to7:30 p.m. at the District Office. Robles will return to Park City on Feb. 13 to conduct a focus group with elementary teachers (due to Parent-Teacher Conference conflicts this week). HYA will conduct an online survey, both in English and in Spanish, Feb. 9-16. The survey will be sent to all parents via PCSD Chat and will also be available to the community on the district website. Following the focus groups and survey, conducted this week and next, Robles and Franco will develop a leadership profile and present it to the board on Feb. 27. A national recruitment process will take through March 31. There will be three open seats on the Park City School District Board of Education, effective January 2019. Those interested in running for a seat in Districts 1, 4, or 5 need to declare candidacy March 9-15. 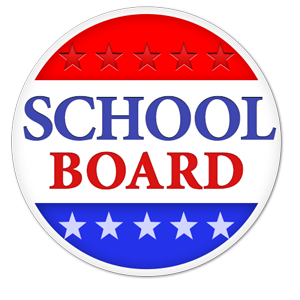 School board members serve four-year terms, unless appointed. Those members appointed and wanting to maintain their seats are required to run for a four-year term. District 1 is currently represented by Anne Peters who was appointed to the board in June 2017 when Phil Kaplan resigned. District 4 is currently represented by JJ Ehlers who serves as vice president of the board. She has served since January 2015 and has decided not to run again. District 5 is currently represented by Julie Eihausen. She announced her resignation, effective Feb. 5. The board has appointed Erin Grady to fill that seat the remainder of 2017. Grady will be sworn in at the Feb. 5 board meeting. The 2018 filing period opens March 9at 8 a.m. and closes March 15 at 5 p.m. Candidates interested in filing for public office must appear in person at the Summit County Clerk’s Office during regular business hours. Below are the maps for each of three precincts. Candidates must live in the district for which they are running. The online survey will collect information from internal and external stakeholders about what they consider to be the most important strengths and characteristics of a superintendent. Feb. 5-6 Robles and Franco will conduct a series of interviews and focus groups with stakeholders. Based on the survey results and the information gathered during interviews and focus groups, a leadership profile will be created by HYA and presented to the board. A national recruitment process will take 4-6 weeks (through March 31). The board will form a 12-member search committee, comprised of parents and staff. Those interested in serving on the committee will be asked to apply. Once the committee is selected, it will interview candidates and present 5-7 candidates to the board. Initial interviews with the board will be April 27-28, followed by semi-finalist interviews with the Board May 5-6. The board will make its selection by the end of the day on May 6. A public announcement will be made following a site visit and extensive background check. NOTE: Robles is the the former superintendent of Los Angeles County Office of Education, and is currently a professor in the Rossier School of Education at the University of Southern California. She is also the former Superintendent of Schools for the Salt Lake School District. Franco spent 36 years in public education and retired as Superintendent of Schools of Whittier School District in California. She currently serves as Director of the Association of California School Administrators Superintendents’ Academy in Whittier. With new member Erin Grady joining the board Feb. 5, board members discussed possible trainings such as becoming a more cohesive board and governance for elected officials. The board plans to ask the Utah School Boards Association to conduct a refresher training during an upcoming work session. Board member Petra Butler said the board needs to hold itself accountable. She said it took courage for the Superintendent to come forward at the last meeting and tell the board it needed additional training. “We also need to work on respect with one another, having respect within the district, and becoming active listeners,” she said. Butler and Board Vice President JJ Ehlers plan to attend the National School Boards Association Conference April 7-9 in San Antonio, Texas. In the future, board members expressed interest in attending the annual Association for Supervision and Curriculum Development (ASCD) National Conference. The following educators were recognized for completing their National Board Certification: Liis Rametta, a fifth-grade dual immersion (English) teacher at Jeremy Ranch Elementary; Matt Nagel, English teacher at Park City High; Steve Cuttitta, English teacher at Park City High. National Board Certification develops, retains, and recognizes accomplished teachers and generates ongoing improvement in schools nationwide. It is the most respected professional certification available in K-12 education. Issued by the National Board for Professional Teaching Standards, the certification is a rigorous process that takes one to three years to complete. Ben Kahn, representing the Park City Education Association said pre-negotiations are off to a great start. PCEA is looking forward to discussing meaningful professional development with Superintendent Ember Conley and Kathleen Einhorn. Kahn also asked the hiring committee for future Cabinet members involve all stakeholders, especially teachers. Colleen Mutcher, representing the Park City Classified Education Association, invited the board to participate in “Bring a Board Member to Work” initiative. District department employees are willing to spend 30 minutes to an hour showing the board their department responsibilities. She also said the Utah School Employee Association Delegate Conference will be held in Park City in April. –Julie Eihausen expressed concern over the process to appoint a new board member. She said a sitting board member has a long-term friendship with the new board member and it was not disclosed by the board member or the applicant. She believes that relationship should have been disclosed in light of the 3-2 vote. Eihausen said she believes in full transparency and the process was not transparent. –JJ Ehlers attended a PCCAPS meeting where she learned they need funding for noise reduction in their facility. The program also wants to rearrange its space so it can be used for other classes. –Petra Butler reported that she is part of a new transportation committee that is working with all city stakeholders to study various modes of transportation. PCEF board member Jodey Fey and Program Director Kara Cody reported the foundation funded 23 teacher grants in the amount of $75,200. Fey said this was the year of “all things tech.” Some examples of grants include: Makerspace expansion, 3D printer, modular circuits for electronics, recording equipment, virtual reality equipment, and hands-on STEM. –USA Today named Park City High as the best public high school in Utah. –Business Insider ranked Park City as the best school district in Utah. –Dr. Conley was featured in the American School Board Journal as part of an opioid article that discussed the impact opioids have on schools. Eric Equival, Latino Community Relations specialist, provided a monthly report on the Latino outreach efforts at the District and school levels. –Superintendent Conley shared a TEDx Youth talk, “A Community Divided,” given by Park City High student Skylar Jackenthal about respect, kindness, and compassion. Jackenthal argues that Park City has lost its amazingness. Watch the TEDx Youth talk here. “You had the courage to speak out,” Dr. Conley said. “So many times we do not share our stories that can help others. Thank you for challenging us for what we can do to change.” The Superintendent thanked Teri Orr for bringing this program to Park City High and expressed appreciation to the Park City Institute for providing remarkable training for students. –Dr. Conley also recognized board member Eihausen and thanked her for her service on the board. This was Eihausen’s last meeting. Business Administrator Todd Hauber told the board he is working on the request for proposal for a master planning consultant. He said there are different types of master planning and the district wants to be very specific in its need. The Board had some questions regarding the FY19 preliminary budget and the district narrative. Hauber reminded the board it is only looking at budget items for FY19. The Board will address more details of the budget at its next Work Session. The board approved retiring Policy 7000: Employee Involvement with Non-School Travel. The board discussed Policy 9045: Student Travel, and a request received from the high school music teachers to allow eighth-grade students to travel to Normandy this summer with the high school band. The eighth graders will only be 10 days short of becoming official 9th graders. The board voted to send the policy back to the Policy Committee to include an exemption process. The board tabled Policy 9025—Wellness Policy, until its next meeting. In the meantime, the Policy Committee will review the recess and nutrition suggestions made by parents. The board has retained HYA Associates to conduct a national search for a new superintendent. HYA is one of the oldest and largest search firms, having assisted more than 1,000 school boards select leadership in school systems across the nation. Darline Robles with HYA Associates talked with the board via a conference call and presented an overview on how the firm conducts a superintendent search. Robles will meet with the board on Jan. 23 at noon. –Bari Nan Rothchild, a parent representing a group of community members, wants the board to ask Dr. Conley to rescind her resignation. She said Dr. Conley is an educator in the truest sense and has led the district during some of its darkest hours. She asked the board to find a way to keep her—keeping her would a avoid a costly search and a lengthy transition that will not benefit students. –Sally Elliott, who has lived in Park City for 32 years and has served two terms on the Summit County Council, said this is the first time she has ever attended a school board meeting, but she came to express support for asking the Superintendent to stay. She said the district needs stable, competent leadership. She asked the board to consider having government official training to better understand their roles, which has been offered by the Park City Mayor and South Summit Council members. She urged the board to do all it can to retain Dr. Conley. –Christina Miller, a parent representing several members of the community, said Dr. Conley’s resignation is a symptom of a much greater issue. Miller said she has spoken with parents, teachers, members of the Utah School Boards Association and Utah School Superintendents Association, business owners, and community leaders, and all want the board to consider asking Dr. Coney to stay. She said the district has a lot of issues on the table that need momentum moving forward. The time and money spent on a search for a new superintendent will take away time from students and teachers. She asked the board to take the Mayor’s and Summit County Council’s offer to facilitate more functional conversations with district leadership. –Dr. John Hanrahand, a parent who has served on numerous district committees, expressed his respect for Superintendent Conley. He is convinced she has the best interests of students at heart. He believes she is the best Superintendent the district has had since he moved here in 1992. He encouraged the board to have meetings with the Superintendent to figure out a way to keep Dr. Conley. the board McPolin Elementary has eliminated one recess for fourth- and fifth-grade students and hopes the board will consider setting recess guidelines. –Laura Rojas, a parent from McPolin Elementary, also expressed concern about the recess being taken away because of behavior issues. She said the time it takes to resolve recess issues with students takes away from instructional time. She said now is the time to work on behavior issues with the the fourth- and fifth-grade students before they move on to middle school. Mrs. Rojas said she understands the demands placed on the principals and staff, and parents have offered to volunteer at recess. –David Peters, a parent from McPolin Elementary, realizes the board has a lot of issues it is dealing with, but also thinks it is important to look at any issue that has to do with the health of 8 -, 9-, and 10-year-old students. He believes it is extremely important for students to have recess. He asked the board to look at how parents can assist the school before the chemistry of a student’s day is altered. Jenae Ridge, Executive Director of EATS Park City, asked the board as it reviews its Wellness Policy to make the nutrition section more progressive. Superintendent Ember Conley and members of Cabinet provided the Board with context for understanding the financial needs of the district over the next three to five years. Dr. Conley presented the vision for a budget that looks not only at FY 19, but the district’s longterm needs. The district’s administrative team believes the greatest needs of the district are time, staff support, and consistent processes. Cabinet is developing a budget that will have the most impact at the school level and improving student outcomes. The board will need to prioritize the district’s most important issues for FY19. Board President Andrew Caplan said the Board is supportive of the direction the Administration is taking with the budget and personnel. Dr. Conley said the Board would see a preliminary budget at its Feb. 6 meeting. The board also agreed to submit a Request for Proposal for an “Owner’s Representative” who will coordinate the district’s scope and schedule of the master planning process and report to the district’s leadership team and Board of Education. Nick Salmon, founder and president of Collaborative Learning Network, presented the board with his report and a timeline concerning the district’s master planning process. Board member Anne Peters asked what is the next step in the master planning process. Salmon said the board needs to determine how quickly it wants the process to move. Board member Petra Butler said she doesn’t want the decision to bond to drive the master planning process. She encouraged the board to take its time because it is planning what the district will look like for the next 10-15 years. Salmon concurred, stating he has a bias to fully use what facilities the district already has before building new structures. Board Vice President JJ Ehlers reminded the board it is waiting on the demographic study to be completed so it knows where student populations are in relation to schools. Salmon said the board could use this winter and spring to pull together the remaining pieces of information such as enrollment forecasting and geo-mapping. Time also needs to be spent in every building observing how space is being used. Board member Julie Eihausen agrees the board should take its time with master planning, but she reminded the board that in the meantime it will be spending a great deal of money to maintain Treasure Mountain Junior High. Terry Shoemaker, Associate Director of the Utah School Board Association and Executive Director of the Utah School Superintendents Association, provided the Board with information regarding its search for a new superintendent. He reminded the Board that this decision is critical to students, to parents, to local community leaders, and to state policy makers. Shoemaker said USBA is available to assist the board in finding qualified candidates. –Superintendent Ember Conley reported a district committee has been created to study chronic absenteeism. The committee will research why there are so many absences and determine possible solutions to pilot at schools. –She said the district’s recent lockout drill was successful and districtwide drills will continue throughout the school year. The text messaging system was a great improvement and she says the district will improve with each drill. A request for proposal has been submitted for a safety consultant and the safety committee will review proposals Jan. 2. The superintendent is anxious to get a consultant on board to review all the district’s safety projects. 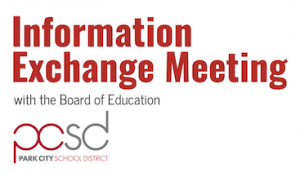 In an effort to engage parents, employees, and members of the community, the Park City School District Board of Education hosts informal monthly exchange meetings. Each month the meetings are held at different schools. The following items were discussed Dec. 13 at Ecker Hill Middle by the parents who attended the meeting with board member Petra Butler. Mindfulness Program: Rebecca Brenner and Randy Jo Taurel provided an overview of the mindfulness program being taught at Ecker Hill Middle this year. Mindful learning includes simple ways to reduce stress and improve impulse control, attention span, emotion regulations, and empathy. Mindfulness is the basic human ability to be fully present, aware of where we are and what we’re doing, and not overly reactive or overwhelmed by what’s going on around us. Thanks to a grant from the Park City Education Foundation, the two experts are working with 12 teachers and three counselors at the school about the benefits and uses of mindfulness. The mindfulness exercises are then taught to their students and used in their classrooms. These simple tools can help students in the classroom and at home. Superintendent search: Business Administrator Todd Hauber said the board has sent out a request for proposal for a recruiter to identify potential candidates. Temporary classrooms: A parent asked if the board anticipated adding more temporary classrooms in the district. Butler said the board just closed all schools to open enrollment which will help in managing enrollment. Hauber said the board will begin discussing next year’s budget and determine if new programs will be added or current programs expanded– and whether or not those will require more space. Currently, the district has two portable classrooms at Trailside Elementary, two at McPolin Elementary, two at Treasure Mountain Junior High, and one at the District Office. Community involvement: A parent expressed frustration that the same people are always at community meetings. Butler said the board is open to suggestions on how to get the community more engaged. 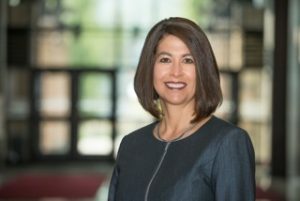 Park City School District Superintendent Ember Conley announced today, Dec. 6, she will not seek renewal of her current contract. Her last day as superintendent will be June 30, 2018. She will remain available to transition the new superintendent until Jan. 31, 2019. Dr. Conley has served as superintendent in Park City since 2013. Prior to that she served as a school and district administrator for nine years in Colorado and Arizona. As superintendent, Dr. Conley is responsible for the overall academics and educational experiences with curriculum, instruction, assessment, and professional practice; District Office management; administrative team management; budget oversight (including supervising the planning, preparation and presentation of the annual budget and making recommendation to the board for approval); resources and facilities; and knowing current national education trends. The board met with Nick Salmon, founder and president of Collaborative Learning Network, who has been retained as a consultant to assist the board in developing a plan for its master planning process. He will identify the data needed for the planning process including enrollment, school sites, facilities, and funding; create a timeline; assess the feasibility of completing a master plan for bond election scenarios; identify key participants in the planning effort; and identify community engagement tools. This week, Salmon is touring all PCSD schools and properties to review current space uses and to meet with school leaders to establish key issues at each site. He is meeting with the Facility Committee to review the planning process and to identify community partners for the planning process and school success. He will present his findings to the board by Dec. 14.
Business Administrator Todd Hauber asked the board if it would consider installing AT&T cell phone towers at Dozier Field or on the side of the Eccles loft section. The proposed lease agreement could generate $1,000-$1,500 a month for the district. The board said it prefers to see more detailed renderings of what the cell phone towers look like before committing to the lease. Park City Municipal Transportation Planning Manager Alfred Knotts and Senior Transportation Planner Julia Collins shared updates about Park City’s Transit Tunnel and the Highway 248 project. They reminded the board that the city is designing and implementing an integrated system of trails, buses, roads, and alternative transportation options in an effort to providing transportation access to all residents and visitors, preserving our small-town character, and meeting the city’s net-zero carbon goals. Knotts said the city will continue its ongoing communication with the district as it moves forward on this project and others. Following a recent review of the Human Resources Department, Associate Superintendent Tim McConnell presented the board with the department’s goals and action steps to address the findings. The review looked at the department’s branding, recruiting, screening, hiring, and onboarding. The department has adopted “Adventure Awaits in Park City School District” as its branding in all teacher recruiting and marketing. The district will take part in several presentations, college and university job fairs, and Education Week’s Virtual Job Fair later this Spring. It will also recruit dual immersion teachers through university DLI programs and career placement centers. The application process has been streamlined and the process for screening, interviewing, hiring, and onboarding new teachers is being evaluated and improved. –Superintendent Ember Conley said the district is holding additional safety training for staff, reviewing and updating policies and procedures, and studying vulnerabilities during an emergency. A districtwide lockdown/lockout drill is planned for Dec. 15, with law enforcement, to practice emergency response procedures. She plans to conduct similar drills monthly on a districtwide basis. A tabletop active shooter drill is planned for Feb. 26. –Dr. Conley has been in contact with school safety consultants to help the district determine best practices. She hopes to have a request for proposal sent out to potential consultants before Winter Break. – She has met with a vendor for a cell phone booster for schools that have “dead spots.” All intercoms have been checked and four have been repaired or reconnected. –Construction is underway on the elementary school front office vestibules. The work should be completed by the end of the Winter Break. –A Safety Sub-Committee recently met to review Visitor Management Systems, and a recommendation for an Emergency Management system will soon be recommended. –Board President Andrew Caplan urged the Superintendent to retain a security expert/consultant to help guide the district on its safety improvements. – Board members Petra Butler and Anne Peters suggested an interim fence for portables until fences are installed later this Spring. The board reviewed a student appeal and voted to revoke the suspension, per Policy 10100 – Safe Schools.